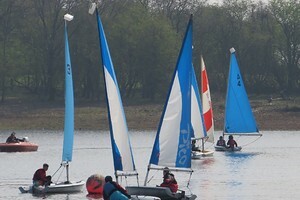 Dinghy sailing is a sociable, accessible and fun sport for the whole family. It’s also a pastime that you can choose take as far as you want. 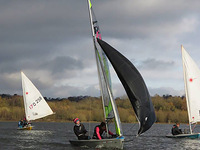 You can potter about on the water with the kids, spend hours tinkering with your boat…or get bitten by the racing bug, in search of that undeniable thrill when your sails are full and you’re beating to the mark. 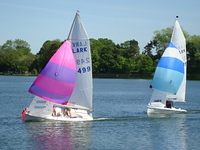 Barnt Green is an experienced RYA training centre providing courses for both adults and children over the age of seven. Our qualified instructors work hard to turn complete beginners into safe, responsible and competitive sailors through a series of recognised and highly enjoyable training sessions with plenty of time out on the water. here to find out more. Learning to sail builds confidence and gives children a wide range of skills and experiences that are useful in all areas of life – as well as on the water! Barnt Green’s instructors work hard to inspire the next generation of Ben Ainslies and Hannah Mills in fun training sessions. Barnt Green is a safe friendly club, set in beautiful countryside on the outskirts of Birmingham, for the whole family. Barnt Green Waters is set in the beautiful Worcestershire countryside, close to the Lickey Hills. 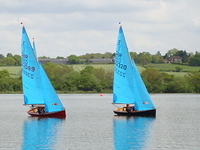 The reservoir is a Site of Special Scientific Interest (S.S.S.I.) 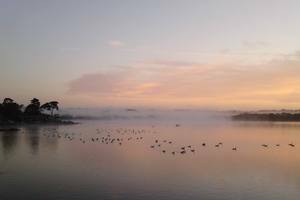 and we share the water and surrounding grassland with a wide variety of wildlife. The club house picture window looks out over the racing area, with an open fire on cold days and comfy chairs to watch the competition unfold. 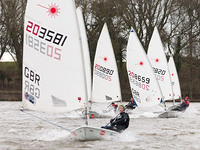 The club holds regular racing on Wednesdays and Sundays throughout the year. 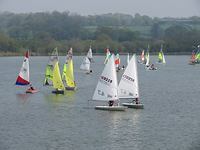 We have good fleets of Lasers, Laser Radials, Larks, Enterprises, Cadets, Picos, Optimists, Solos and a handicap fleet for all other classes with Mirrors, a D-Zero and Laser IIs all seen regularly on the water. 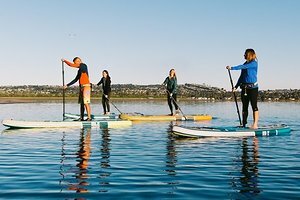 Click here to take a look at the fleet pages, to get a feel for the company you’ll keep on the water.